The fuzz heavy and Melvins influenced, TWEAK BIRD (volcom), who were suppose to open for the recently canceled Mondo Generator tour, will now be playing The Nightmare on August 29th w/ Drums Like Machine Guns (philadelphia), Heavy Medical (philadelphia) and Depths to open. $10 show, all ages. The mighty THRONES who I had play at Doublewide a few years back, has been added to the CHRISTIAN MISTRESS & The Deadsea show on October 21st at The Nightmare. 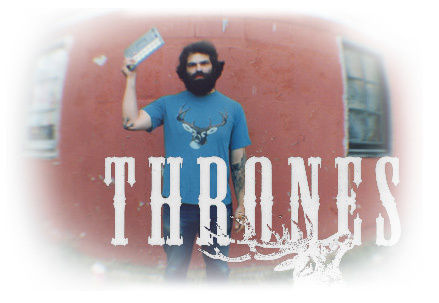 Thrones is the long-running solo outfit of bass player JOE PRESTON (melvins/high on fire). This entry was posted on August 18, 2010 at 8:35 pm, filed under News.